Phelps bed and breakfast travel guide for romantic, historic and adventure b&b's. 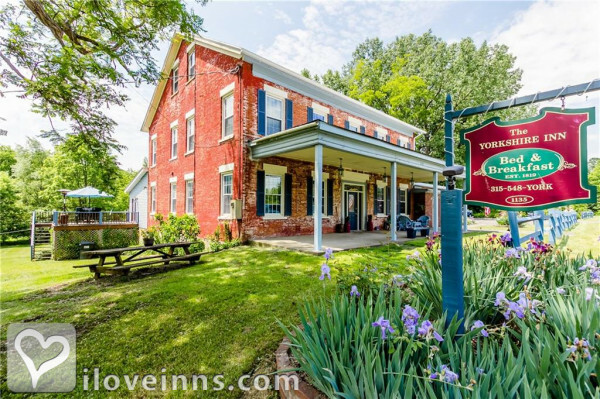 Browse through the iLoveInns.com database of Phelps, New York bed and breakfasts and country inns to find detailed listings that include room rates, special deals and area activities. You can click on the 'check rates and availability' button to contact the innkeeper. Phelps is a town located in Ontario County, New York. A village of the same name is also found within the town. Phelps has become a destination for tourists and Phelps bed and breakfast inns have proven themselves to be good at accommodating guests from different parts of the country. One of the most visited sites in the town is the Howe House. Built in 1869, the house has been able to survive time, providing visitors with an accurate view of how people lived then. Phelps is also close to the Finger Lakes and because of this many visitors take a short trip to have fun on the water or just to catch a sight of the breathtaking views. By Yorkshire Inn.